Asia Hotel & Restaurants is a 2 star hotel in the city of Larkana only 28 Kilometers from of Moen-jo-daro, Asia Hotel & Restaurant Larkana is situated in a usy area of the city commonly Known as Station Road. 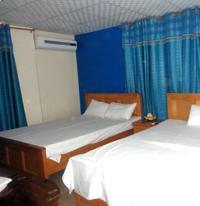 The hotel offer basic amenities of a 2 & 3 star hotel in Larkana. The hotel is ideal for business as well as tourit in Larkana. The hotel has 21 rooms having standard & deluxe rooms equiped with hot & cold water Cable TV and a Pakistani restaurant offering round the clock room service. 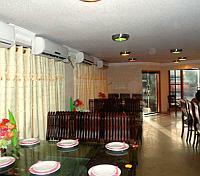 The hotel has a small conference room which can accomdate upto 100 People in classroom style. There is also a possiblity to organise conference or events in Larkana at nearby park or ground with tents. 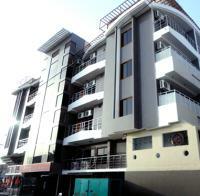 Asia Hotel in Larkana, offers above rates only to Hunza tours. The online reservation payment must be made to Hunza tours not the hotel. Book your events, Meetings, Conferences Marriage parties at Asia Hotel or any other hotel in Larkana please feel free to email us we will offer you the best possible rates and perfect arrangements to suit your events.